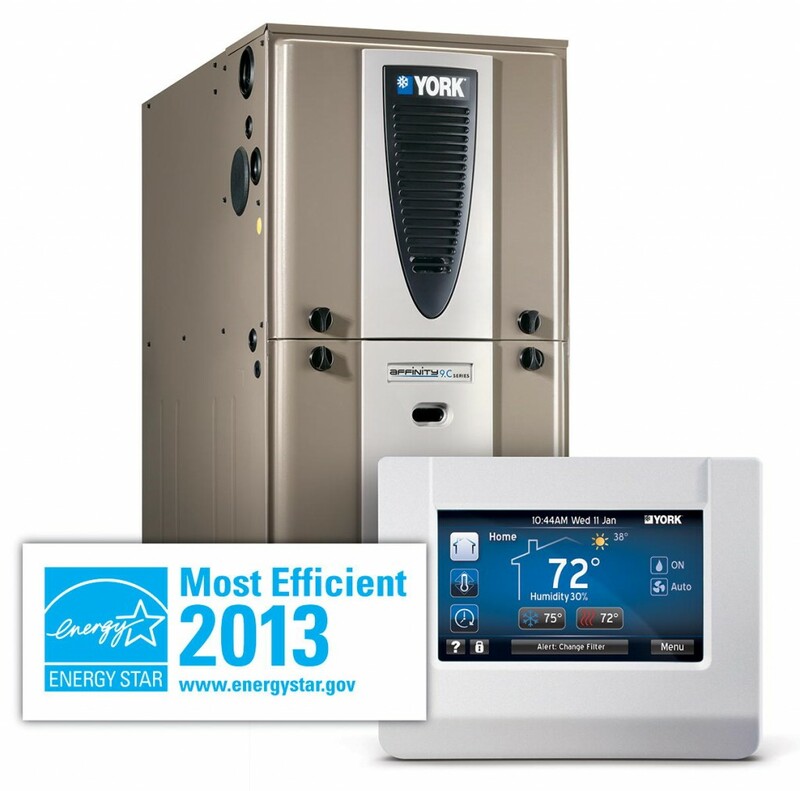 You are at:Home»Furnace»What is the Difference between Auxiliary Heat and Emergency Heat on my Heat Pump? 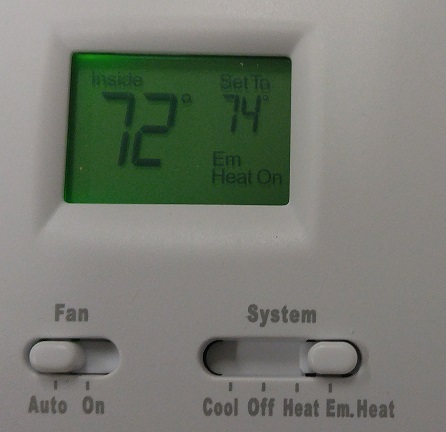 Have you ever wondered what those two heat settings are on your thermostat? Are you confused by the difference between “Aux. Heat” and “Em. Heat” and just regular “Heat” settings on your thermostat? Or have you ever wondered why some thermostats have these and others do not? 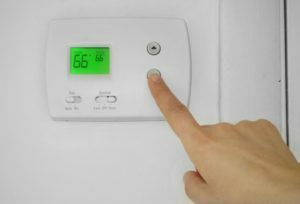 First let’s define the two types of air conditioning systems used in the Southern United States, Air Conditioners with Furnaces, and Heat Pumps. The former will not require the Aux or Em Heat settings. The latter, Heat Pumps, have two sources of heat for your home so their thermostat needs to be able to communicate to the equipment when to use the two different heat sources. So only heat pump systems require the Emergency heat setting on their thermostats. Furnaces do not, unless they are installed in conjunction with a heat pump in which case this is called a dual fuel system, and is not very common. The thermostat you use for each type of system is unique. So when buying a thermostat, you need to make sure it is compatible with heat pumps if you own a heat pump. Now you know if you have a heat pump. What is the meaning of Auxiliary Heat verses Emergency Heat? OK, so these terms are really used interchangeably. First “Auxiliary Heat”, “Strip Heat”, “Emergency Heat”, “Radiant Heat” are all used to reference the same heating mechanism; your electric heat strips that come with a heat pump. I guess the only difference is that AUX is an ‘indicator’ on your thermostat that you are running the heat strips when the switch is set to HEAT. Emergency Heat is just the switch setting that will turn off the heat pump and only run the auxiliary heat. This is for those times when your heat pump outside unit is not working and you don’t want to risk damaging it more. Emergency Heat Indicator only when in Em. Heat Mode. See our articles on energy saving tips.